On Thursday 11th January, Facebook announced a major change in users’ News Feed in the way posts would be ranked. Facebook announced that it would “prioritize posts from friends and family over public content”. In essence, it means you will see less third-party contents from brand/business pages and publishers and more from family & friends particularly those updates and posts predicted to generate more engagement. This could be considered a brave move by Facebook returning to its ‘roots’ but is effectively about Facebook increasing its revenue. It shouldn’t come as too much of a surprise as Facebook has been dramatically reducing organic reach particularly of branded content over the last number of years. Effectively encouraging business users to pay for advertising to retain visibility and exposure. 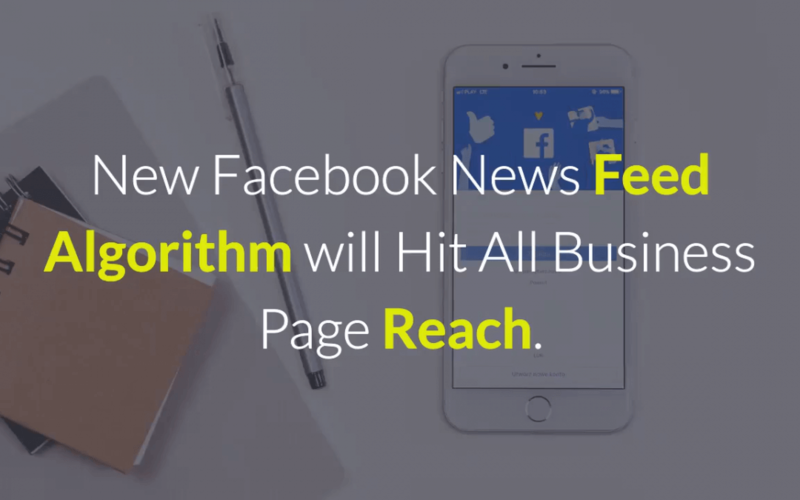 It looks like that model is now being forced on news publishers who until now were the exception to the rule with Facebook still a valuable source of referral traffic for their websites. The announcement came with the not unexpected hue & cry from many news publishers as they focused much of their activity on the ‘promise’ of massive reach offered by Facebook. It will severely limit the potential traffic and earnings they have enjoyed until now! Publishers will find themselves in the same situation that business pages found themselves at the end of 2014. Facebook announced that it was killing off organic reach for brand pages and its been in steady decline since. Facebook’s announcement only confirmed what many industry watchers suspected was coming but many businesses both large and small perhaps choose to ignore. The problem has always been, particularly for small businesses, that Facebook and other social media platforms are ‘easy’ to set up and use. Unfortunately, sometimes with very little real benefit in terms of increased sales. Brands then were forced to abandon a marketing strategy that relied on free traffic from their Facebook pages. Instead they were encouraged to pay for advertising or find referral traffic from other sources. In support of that model, Facebook has been improving both its ad delivery platform and its targeting options as an incentive to brands and page owners to jump onboard. As an example, Facebook’s Dynamic Creative ad feature automatically tests multiple variations of a single ad. Using the feature, you can test multiple product images alongside multiple copy variations and headlines. The system automatically rotates each to find the most effective ad creative and the best ad-to-audience fit. As a Facebook business/page owner, it’s now a no-brainer! Either buy visibility and traffic to your website with Facebook ads or find alternative means to prop up reducing Facebook referral traffic.